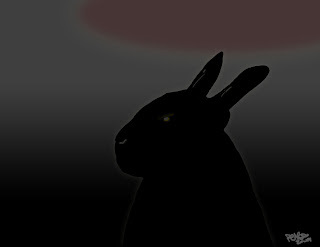 Without the night, a rabbit cannot eat. Under the guise of a shadow, he plunders and sits, motionless. Until that crucial moment shudders and shatters the beast to a lower level. Twitching olfactory and locked on sense. Finally, a delight at night for the hare who dares. Thats why it sells, really. Covered in dirt and as organic as a god. Nutrients burst from it's earthy seams ... just so you know.